Evidence connecting climate change to armed conflict is still evolving, but the implications of climate change for human and international security are clear. It is essential that we recognise the connections as factors affecting women, peace and security. Impacts of climate change, such as drought, floods, extreme weather events and reduced food and water security, affect women and men differently with the poorest being the most vulnerable. In the Asia Pacific region, 2013 was marked by devastating disasters that made clear that it is no longer enough to merely mitigate and adapt to climate change: the loss and damage to lives, property, land and livelihood caused by climate change induced events affecting rural, indigenous, and urban poor women must be addressed. 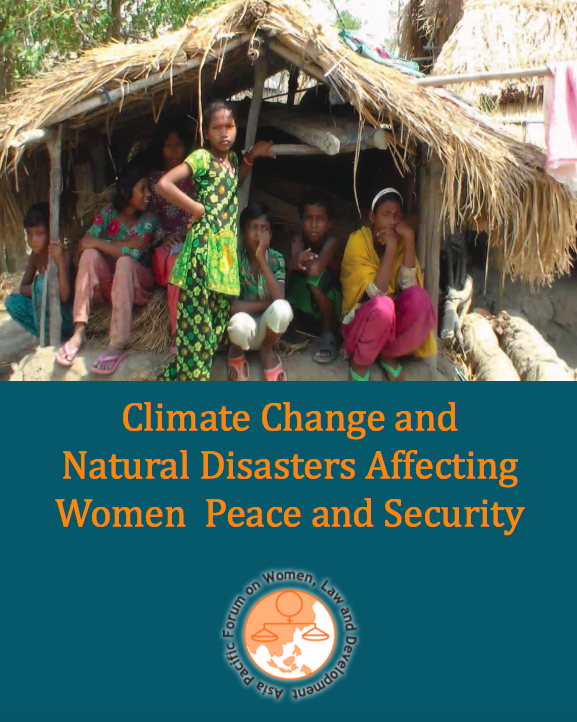 Climate change is not gender neutral and as extreme weather patterns increase global competition and tensions over land and resources, the disproportionate burden of climate change already borne by women can only be augmented as climate change induced conflict further threatens their lives, livelihoods, peace, and security.